Exeter Phoenix and The Chestnut Appeal for Prostate Cancer are hosting a charity art auction to raise funds for both charities. 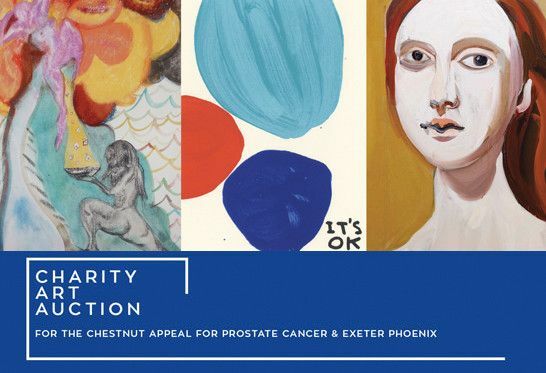 Exeter Phoenix and The Chestnut Appeal for Prostate Cancer are hosting a charity art auction to raise funds for both charities. The bulk of the proceeds will go to The Chestnut Appeal’s drive for state of the art scanning equipment in Devon, with 25% going to support Exeter Phoenix’s charitable community arts work. The majority of lots will be made available for online viewing and sealed pre-bids.